AFC Additions continue to dominate the Bathroom Solutions Blackpool and Fylde Sunday Football Alliance Premier Division. They beat Bloomfield Brewhouse 5-0 on Sunday to carry on their perfect league record. Nathan Hine scored a brace and further goals came from Shane Tyrell, Anthony Smith and Liam Forrest. Exceptional Kitchens edged out Appletree Finance 2-1 with Matt Nelson scoring both and Graeme King replying. In the First Division, the New Albert moved up to third with a 2-0 win over Wesham thanks to Luke Noble’s double. There were also two goals each for Sam Bannister and Danny Worth as AFC Jewsons Blackpool beat BES Utilities 7-4. Neil Gore, Chris Long and Danny Worth also scored for AFC, while BES saw Lee Grundy grab a consolation hat-trick with Bradley Beasley also on target. Clifton Rangers are back on top of division two after a Steve McEwan double and further goals from Rob Hanslip and Blaine Heughan gave them a 4-1 win over the George with BJ Whittle scoring a consolation. 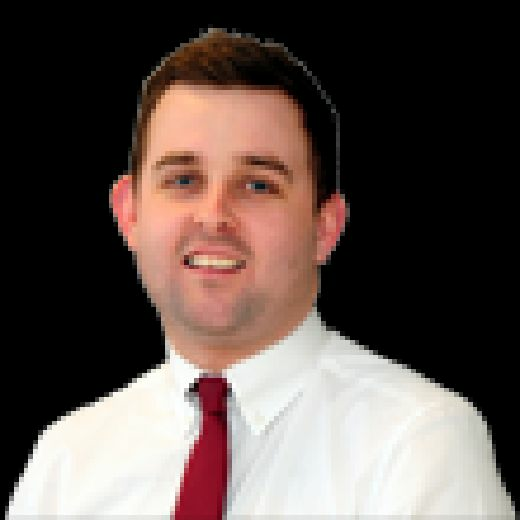 In the Berrys Beds Premier Division Cup, Connor Prendergast and Luke Wilks scored to give 21st Century Windows a 2-1 win over FC Rangers for whom Ryan Hancock scored. In the First Division, league leaders E and P Publications edged out the Layton Pub 3-2 with Sam Dyer grabbing two and Andrew Duckworth the other, while Aaron Clarke and Karl McLeod replied. Danny Horner’s hat-trick set Anchorsholme on the way to a 5-2 win over AFC Lane Ends Blackpool. Aaron Smith and Jamie Lowther were also on target with Whatt Riley and Matty Grime on target for AFC. In the Division Two Cup, a very late Alex Ryder goal was enough to see Layton Seniors beat King Edward. Chris Jackson scored four as Highlands beat Boars Head 8-1. Jordan Brailsford (2), Tom Harrison and Phil Worrall also found the net with Liam Bromley replying. 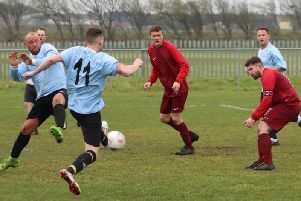 Blackpool Wren Rovers were dealt a blow in their title challenge as they went down to a surprise 3-2 defeat to Vickerstown in the West Lancashire Football League Premier Division. The league leaders would have expected a routine home win against a side second from bottom and with just one win to their name all season. But the visitors raced into a 3-0 lead, Jackson Round, Sean Patterson and Dave Round doing the damage with first-half goals. Wren Rovers launched a fightback after the interval but it proved too little, too late. Joe Booth netted 20 minutes from time to get them back in it and Danny Morris added their second six minutes from time, but they were unable to find that all-important equaliser at the death. So it means Wren Rovers remain 12 points clear at the top of the table, although Garstang – whose game at Hesketh Bank was postponed – have a mammoth six games in hand. Thornton Cleveleys’ home match against Turton was also called off due to the weather. In Division One, Lytham Town’s home clash against Wyre Villa also fell foul to the conditions as did Poulton’s trip to Eagley.